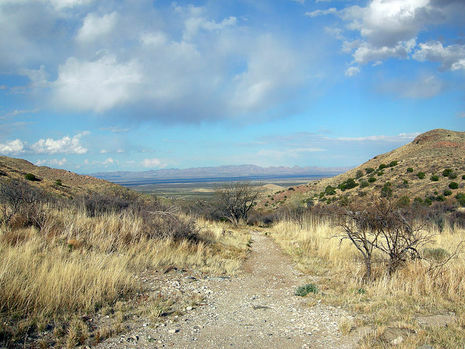 The Battle of Apache Pass was fought at Apache Pass in Arizona, United States, between Apache warriors and the California Column as it marched from California to New Mexico. 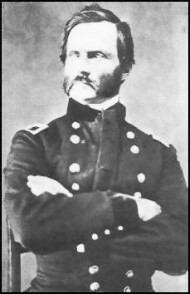 Colonel James H. Carleton had raised a regiment of California volunteers which he was to march across the southwest to reinforce Union forces in New Mexico under Colonel Edward Canby. Carleton's force set out from Fort Yuma and reached Tucson in March, 1862. 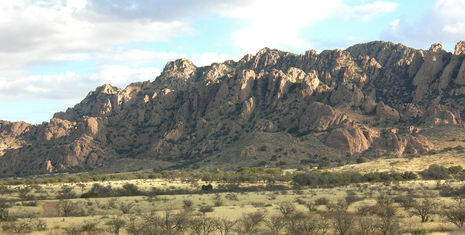 On July 15 Carleton's vanguard was attacked by 500 Apache warriors led by Cochise and Mangas Coloradas at Apache Pass east of Tucson. Heavy skirmishing ensued in the pass until a mountain howitzer was unlimbered. This was one of the first times the U.S. army had been able to use artillery against the Indians. The howitzer broke the Indian attack and the Apache warriors withdrew. On July 4 the first units of the California Column reached New Mexico at Mesilla along the Rio Grande. With the Californians now approaching from the west, the last remnants of the Confederate army withdrew from New Mexico. After the battle Carleton decided that it was necessary to establish a post there to prevent white settlers from being ambushed by the Indians as they passed through. Men of the 5th California began building the fort which they named Fort Bowie in honor of the regiment's colonel, George Washington Bowie. Upon reaching New Mexico, Carleton was placed in command of the Department of New Mexico where he continued to campaign against the Indians in the southwest. The battlefield and fort are preserved today in Fort Bowie National Historic Site.